Resimac has reduced rates across its entire mortgage portfolio, and introduced a new two-year fixed rate it claims is the lowest in the market from a non-bank lender. The lender wants to take on customers that may have been rejected through traditional channels. The lender has cut its prime two-year fixed rate to 4.46% (up to 80% LVR), and 4.89% for customers with an LVR of more than 80%. Its old two year rate was 4.94%. The bolt strategic move positions Resimac closer to the major banks, and is cheaper than ANZ, ASB, and Sovereign's standard two year offers. Resimac’s new three year rates begin at 4.69% for loans below 80%. The new rates are available for applications tomorrow, Resimac confirmed. The move comes as lenders across the board make deep cuts, in anticipation of a Reserve Bank Official Cash Rate cut next month. Falling wholesale rates have allowed the major banks to drop prices across the market. Resimac’s move is significant as it is not governed by RBNZ rules and restrictions. 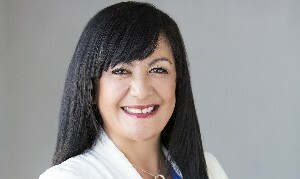 Resimac New Zealand head of sales Huia Manuel (pictured), said the lender was keen to compete for customers that may not meet the "traditional criteria". Manuel said the lender was keen to win new customers turned away from traditional banking sources: “Resimac is aggressively growing its presence in the New Zealand mortgage market with market leading rates and great service. We believe that the cut to our prime two-year fixed rate loan to 4.46% makes it the most competitive mortgage rate on offer by a non-bank lender in New Zealand. Resimac’s move will pile pressure on other non-banks to cut rates, and comes at a time when other non-banks are making plans to enter the market. Pepper, one of Australia’s biggest non-banks, is poised to be the next firm to make a move into New Zealand.